A TOP economist has warned that Germany’s biggest bank is teetering on the edge of crisis and they only way to protect it against future shocks is to nationalise it. 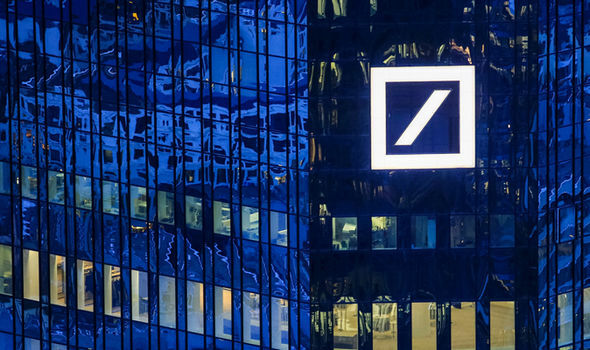 Martin Hellwig said stress tests carried out by the European Central Bank revealed the Deutsche Bank would be left in a precarious position in the event of another financial crisis. While it would probably not go bust in a fresh downturn – he predicted the bank which is crucial to the German economy would face serious equity problems. Let us not forget about the monstrous derivative exposure of Deutsche Bank: $72.8 trillion. They’re looking like the next Lehman Brothers. Video available for viewing at website. Europe urgently needs a 150 billion-euro ($166 billion) bailout fund to recapitalize its beleaguered banks, particularly those in Italy, Deutsche Bank AG’s chief economist said in an interview with Welt am Sonntag. State income loans, otherwise known as “liars loans”. Nothing has changed since 2013 except the coverage. More bankers getting ‘suicided’ is expected as the economy takes a turn for the worst, corruption gets buried and large financial losses go punished. Three bankers in New York, London and Siena, Italy, died within 17 months of each other in 2013-14 in what authorities deemed a series of unrelated suicides. But in each case, the victim had a connection to a burgeoning global banking scandal, leaving more questions than answers as to the circumstances surrounding their deaths. The March 6, 2013 death of David Rossi — a 51-year-old communications director at Monte dei Paschi di Siena, the world’s oldest bank — came as the institution teetered on the brink of collapse. Rossi was found dead in an alleyway beneath his third-floor office window in the 14th-century palazzo that served as the bank’s headquarters. The footage shows the three-story fall didn’t kill Rossi instantly. For almost 20 minutes, the banker lay on the dimly lit cobblestone, occasionally moving an arm and leg. PANIC over the stability of Spanish banks hit fever pitch yesterday, exposing yet another rupture in the financial system holding the eurozone together. Banco Popular, one of the Spain’s leading financial firms, caused mayhem after admitting that it needed billions to bolster its balance sheet. Shocked investors dumped shares in the firm, with the bank stock’s value plunging by 24 per cent this morning, after the cash call and plans to issue another 2 billion shares. It resulted in €1.4billion being wiped off the value of the bank’s share price. The world is sleepwalking into a fresh crisis as investors start to lose faith in policymakers’ ability to revive the global economy, according to the International Monetary Fund. Comments Off on Was There A Run On The Bank? JPM Caps Some ATM Withdrawals Posted in Business & Economics, Economic Crisis, Economic Warfare, Euro, Europe, European Central Bank, European Union, Government Corruption, Politics, Soviet Union, Ukraine, USA Tagged $100, 50, 500€, ATM withdrawals, ATMs, Bank of America Corp, bank run, banking & finance, cash, Chase, Citigroup Inc., criminal activity, eATMs, ecb, Economic Crisis, economic warfare, EU, Euro, europe, European Central Bank, European Union, government corruption, Greece, Jamie Dimon, JPMorgan Chase, Lawrence H. Summers, paper currency, politics, run on the bank, russia, tax evasion, U.S. banks, ukraine, United States, Wall Street Journal, war on cash, Was There A Run On The Bank? JPM Caps Some ATM Withdrawals, Wells Fargo & Co.
Why Is Germany Eliminating Paper Money? Getting rid of paper money may help fight terrorism and even help prop up the banks—but is there a more sinister reason for these new financial controls? Germany is considering abolishing the €500 note and introducing a €5,000 (us$5,600) limit on cash transactions. It is part of a plan proposed by Chancellor Angela Merkel’s partners in the Social Democratic Party to cut off terrorist financing in Europe. Banning the bills will supposedly help make people safer. In reality, it will do the exact opposite. German Deputy Finance Minister Michael Meister told Deutsche Welle on February 3 that Germany would push these reforms at the European level. “Since money laundering and terrorism financing are cross-border threats,” it makes sense to adopt a European Union-wide “solution,” he said. But “if a European solution isn’t possible, Germany will move ahead on its own” (emphasis added throughout). Financial markets the world over are increasingly chaotic; either retreating or plunging. 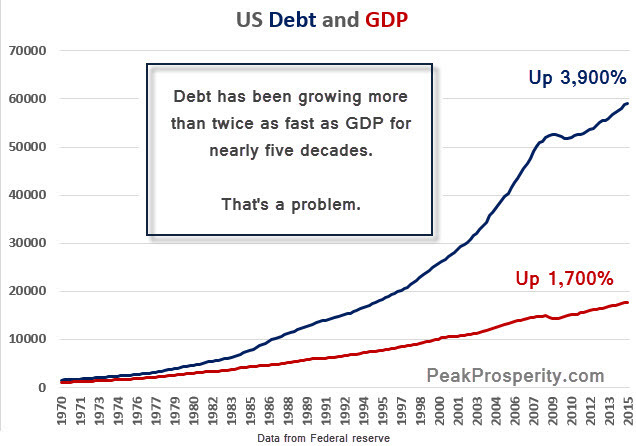 Our view remains that there’s a gigantic market crash in the coming future — one that has possibly started now. Big banks are cringing as crude oil is crumbling. Now that the oil glut has caused prices to crash below $30 a barrel, turmoil is rippling through the energy industry and souring many of those loans. Dozens of oil companies have gone bankrupt and the ones that haven’t are feeling enough financial stress to slash spending and cut tens of thousands of jobs.